Integrated Medical Weight Loss uses a multidisciplinary team approach. You receive an evaluation looking for medical, physical or biological reasons for your excess weight such as medication side effects and medical conditions. We guide you in either a personalized eating plan, or a structured plan designed for quick results. We support you in developing a formal exercise regimen as well as increasing physical activity in small amounts throughout the day. We prescribe appetite suppressants when helpful and appropriate. We discuss the role of bariatric surgery if indicated. Total approach to counseling and person. It has been over a year since my last appointment and I wanted to send you an update. I am at my goal and have been maintaining for a year now. I cannot thank you enough for all you have done to help me get here. Your advice and guidance have been invaluable. 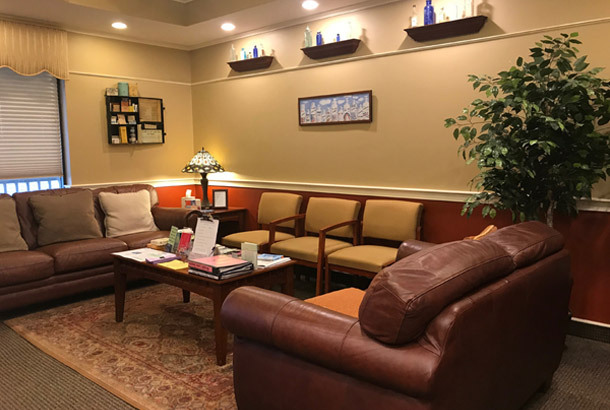 "I have referred friends to the practice because I have received tremendous help and support throughout the years that I have been a patient of Dr. Beth's. I think losing weight is a difficult thing to do. I have had to explore various methods and sometimes incorporate several of them to be successful. This facility may be the one thing that someone tries that works." "I love IMWL! I feel at home here, as the office is very comforting and not as intimidating as I expected. I don't even feel like I'm at a medical office! The staff here is incredible, and is always greeting me with a smile. I'm so happy that I made the decision to start coming here!" "The staff is incredible, and the office is beautiful. I've never felt so happy with my weight loss journey as I do now. The amount of support that this office gives leaves me speechless, from all of the resources in the waiting room, to each and every staff member. I love IMWL!" "I really like the professional support...this isn't a fad, this is teaching me how to live with food..."
"Thanks Dr. Beth. I'm thanking God for you. You are the answer to many prayers for me and my family. Your insight into weight management is incredible and so timely. The portion control point hits me this week since I started weighing my food. I was eating so much more than I realized and found I didn't need it all." "YOU are an INSPIRATION to ME! If I hadn’t found you or was lead to you by the grace of god I truly believe my life still would be unmanageable!! You are a gift to many of us that struggle with FOOD ADDICTION!" Sign Up for our email newsletter & announcements!